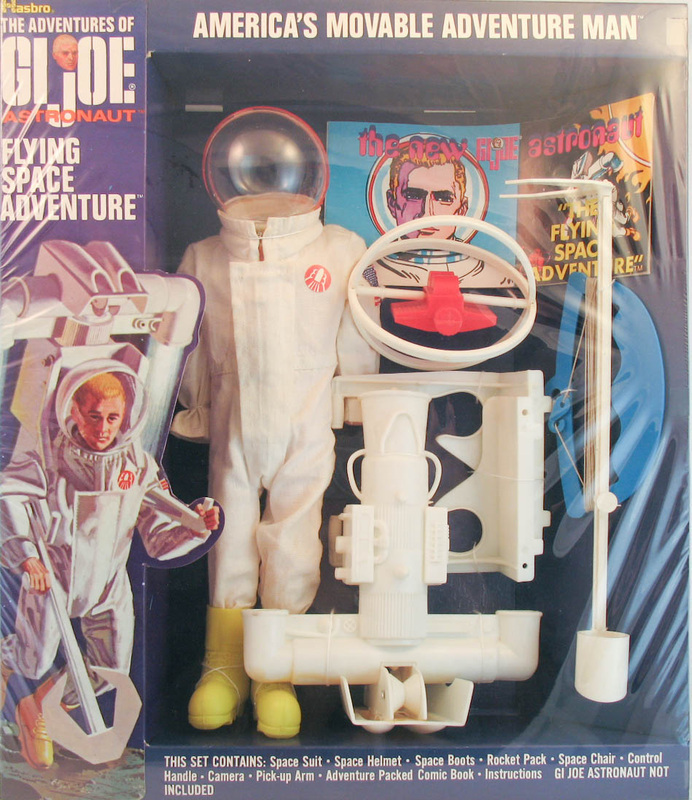 Available from 1970 through 72, Flying Space Adventure (7425) has a number of unique accessories that make it a high demand piece for collectors. In the comic Joe must make a dangerous spacewalk with his rocket pack to retrieve an errant satellite. No matter he has to do it without gloves and with a gaping space at the neck of his jumpsuit, it will all work out in the end. Note the factory error on the set displayed in the spin above- the flag is sewn upside-down on Joe's sleeve. The rocket pack for this set was later molded in red and blue for Flying Rescue, and the boots are a yellow version of the snow boots that first appeared in Deep Freeze and were later used with both the 1969 and 1970 Talking Astronauts. The set was also available as part of the ultra rare 7480 Deluxe Adventure Set that featured bagged versions of this set along with Danger of the Depths and Secret Mission to Spy Island.